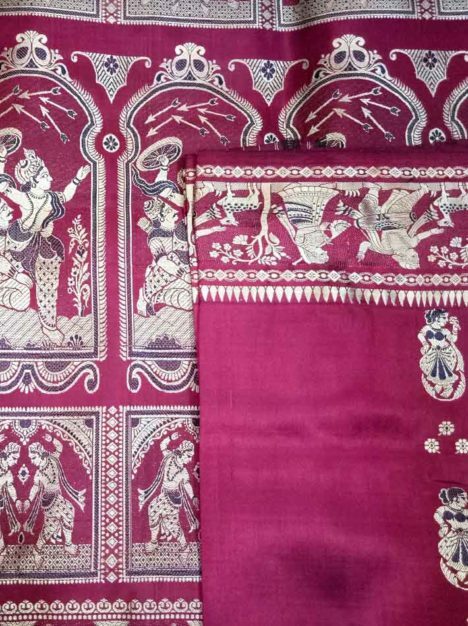 The Baluchari Sarees of Bishnupur are some of the most intricately woven sarees produced in Bengal. Shop for best quality Handloom Bishnupuri Baluchari Saree from Online Naksha at reasonable rate. Featured saree comes of deep magenta color and the resham threads are intricately woven in the pallu and the borders. 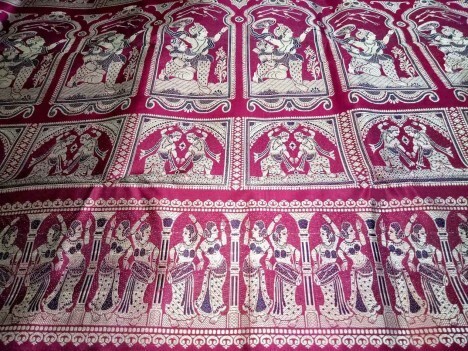 The pallu depicts the tale of the epic Mahabharat with the touch of religion based culture called Kirtan.